A uniquely curated program, presented by Smuin Contemporary American Ballet. Helen Pickett’s sensual and powerful "Oasis", set to an original score by Emmy award-winning House of Cards composer Jeff Beal, returns to the Smuin stage. Pickett offers challenge and inspiration to dancers and audiences alike, igniting the stage with passionate energy. A feast for the senses, "Oasis" explores the concept of water in its many incarnations and implications, celebrating its abundance and its essential role in life. Choreographer-in-Residence Amy Seiwert’s visually stunning "Falling Up" offers an in-depth exploration of strength and trust between partners. Set to a lush piano score by Johannes Brahms, Seiwert’s signature sculptural movement and intimate partnering enhance the energy of contemporary ballet, resulting in a delicate creation. Master dance maker Val Caniparoli returns to Smuin to create a world premiere to conclude their 24th season. Capitalizing on the strengths of the Smuin dancers, Caniparoli weaves a unique movement narrative that transforms time-honored classical forms into vibrant, cutting-edge and humanistic dance experiences. Caniparoli was last seen with the Company when commissioned by Smuin in Spring 2014 to create his lauded Tutto Eccetto Il Lavandino (everything but the kitchen sink), a piece set to the music of Vivaldi. Smuin and TodayTix are thrilled to bring you $25 Rush tickets to "Smuin's Dance Series 02" in San Francisco! Every performance day, on a first-come, first-served basis, a limited number of $25 Rush tickets will be made available for purchase. To unlock this feature, Smuin simply requests that you spread the word on social media through our app. Rush tickets for this production will be in the best available seating at time of purchase. Seating location is at the discretion of the box office and may be in partial view seats. Company may offer programs whereby the Company would make available certain features of the Services when you share information about the Services through an SNS or click on the “Unlock without sharing” button in the Application. 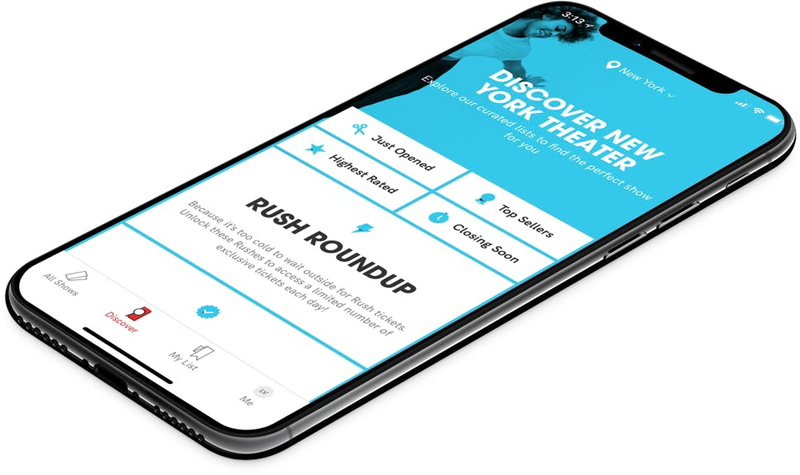 When you are considering purchasing a ticket for a specific show or after you purchase a ticket, if you select the “Share” button in the Application, Company will make available to you a personalized link to a Digital Property with text stating, for example, “Check out Dance Series 02 - San Francisco on TodayTix! I’m thinking of going…” or something similar, which you may choose to share with your friends via SNS. Once you have shared the personalized link through an SNS using the Application or selected the “Unlock without sharing” button in the Application, Company will make available to you the RUSH feature, which will provide you with otherwise unavailable offers for tickets to live events occurring in the next week. The opportunity to take advantage of these offers is only available to users who share a personalized link to an SNS through the Application or select the “Unlock without sharing” button in the Application.